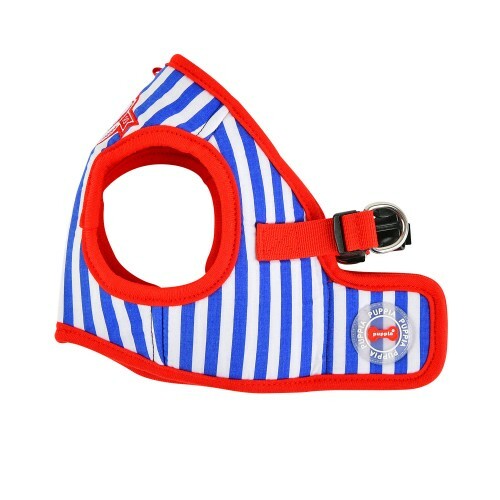 Pleasebe aware the delivery of Puppia / pinkaholic products CAN take 2-3 weeks for delivery but we aim to get them to you in 7 working days, also allow extra time to this guideline when ordering from outside of the UK. Brand new sports themed harnesses and attire for 2019! 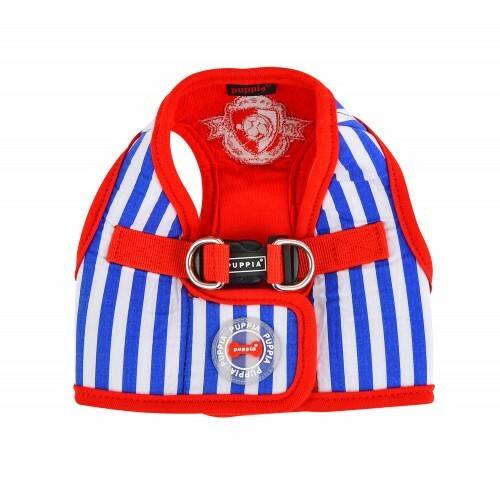 Designed in a blue and white stripe design mimicking classic football kits of the Premier League; this harness is a fan favourite for sure! On the chest is a football crest in red and white. 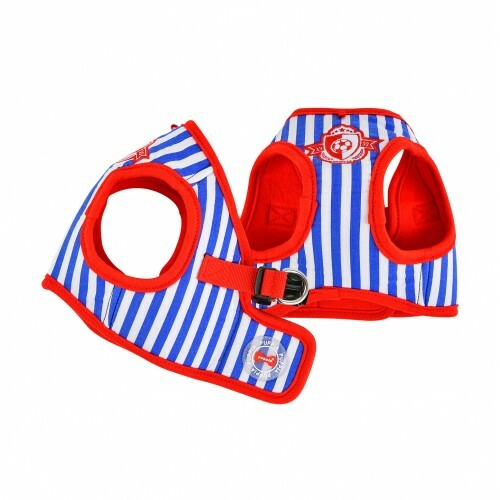 The shell is made from 100% cotton as well as lining inside which is in a bold colour.